I'm not too sure about this one, but my friends said I should post it anyways so here it is! 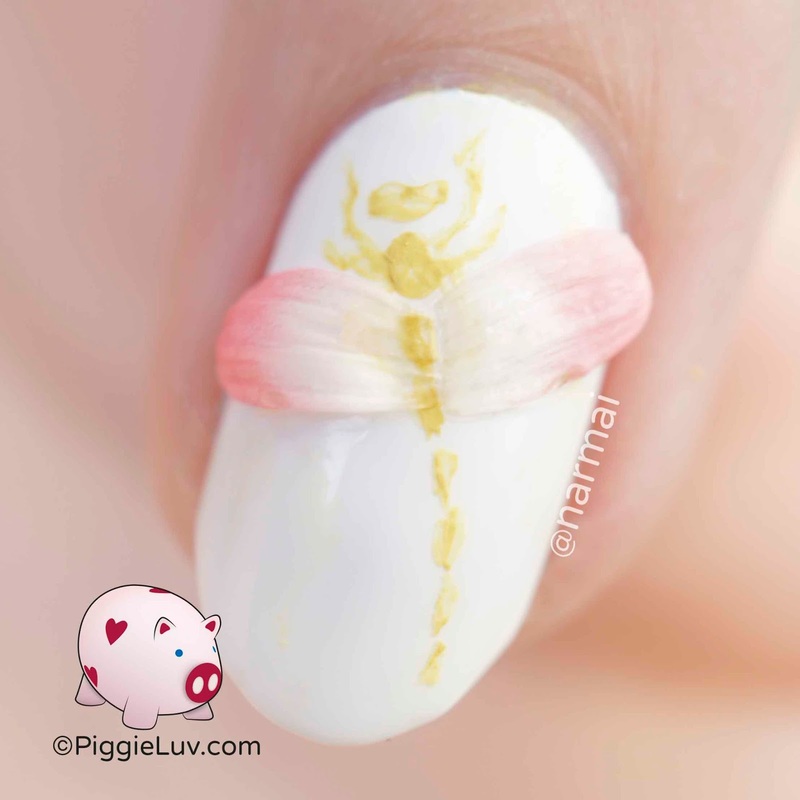 I know it's another one of those impractical manis, but heck, I just like experimenting :D Click to see more! I painted the bugs with acrylic paint and my Roubloff 00 detail brush. I used actual flower petals, as you can see in the video below! 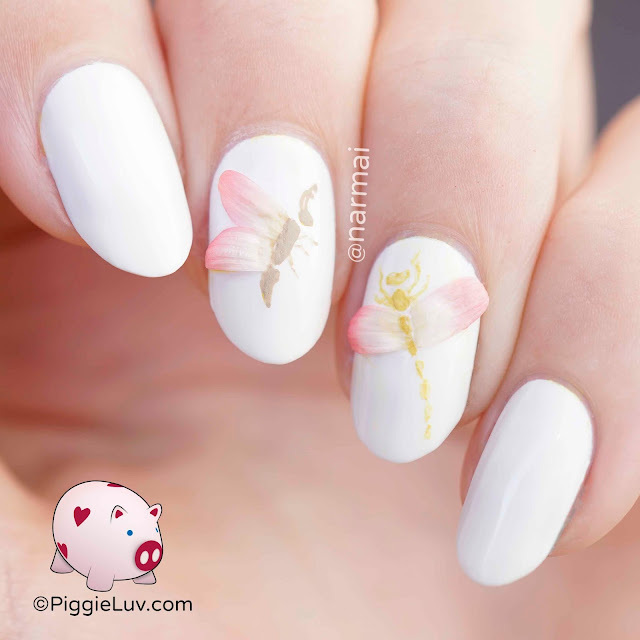 The petals are very sensitive to chemicals, so I used water soluble glue (PVA glue like Elmer's) to attach them to the nail. I happen to always have some PVA glue around because I also use it religiously as a peel off base coat! 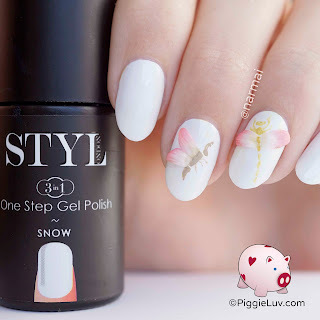 I used STYLondon Snow for the base, it's a nice sturdy gel base that covers in 2 coats so I was done with the base quickly and could get to work :) I also wasn't sure if maybe I would be adding something with polish, and in case that wouldn't work and I had to remove it with nail polish remover (non acetone), a gel base was my best option. I received STYLondon Snow as a press sample. Opinions expressed are 100% my own and not influenced in any way other than the quality of the product itself.